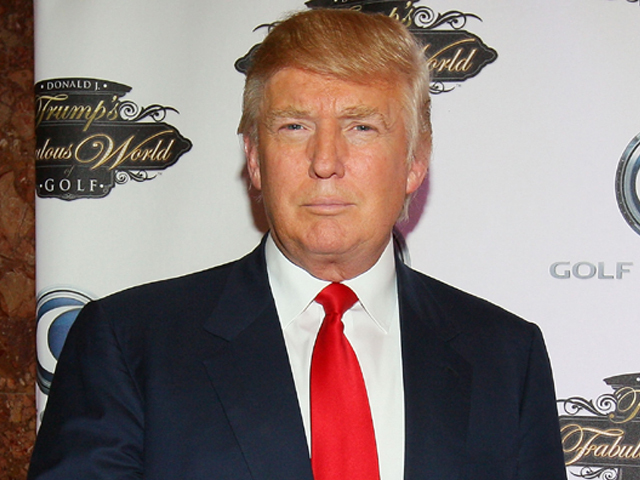 Donald Trump is ready to shell out $600 million of his own cash to become President. The billionaire business magnate and "Apprentice" star told ABC's "Good Morning America" on Thursday that his name recognition would probably save him "hundreds of millions of dollars" compared with other candidates. When asked if he had $600 million to spare, Trump said: "Much more than that. That's one of the nice things. I mean, part of the beauty of me is that I'm very rich. So if I need $600 million, I could put up $600 million myself. That's a huge advantage." The 64-year-old, who held the interview aboard his private jet, said he'd announce his decision by June. Trump's net worth is $2.7 billion, making him the 137th richest person in the U.S., according to Forbes magazine. President Obama raised nearly $750 million in 2008, according to the nonpartisan Center for Responsive Politics. In the wide-ranging interview, Trump slammed potential Republican rivals, insisting former Massachusetts Gov. Mitt Romney "doesn't seem to resonate." The Donald said former Minnesota Gov. Tim Pawlenty isn't "going to captivate the votes" and former Utah Gov. Jon Huntsman is "disloyal." Trump also questioned Obama's citizenship. "He grew up and nobody knew him. You know? When you interview people, if ever I got the nomination, if I ever decide to run, you may go back and interview people from my kindergarten. They'll remember me. Nobody ever comes forward. Nobody knows who he his until later in his life. It's very strange. The whole thing is very strange," Trump added. Trump also dismissed speculation that his presidential bid was just for publicity. "I have never been so serious as I am now," he said.